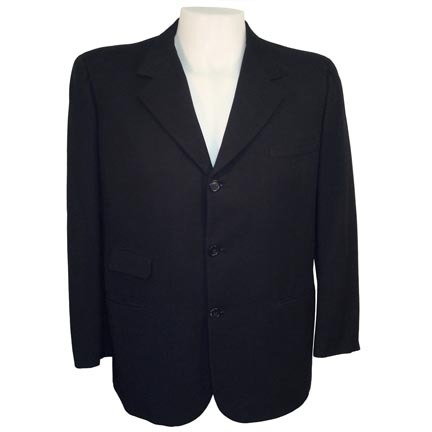 This black suit jacket was worn by the character “Johnny Adams” portrayed by legendary entertainer Bing Crosby in Irving Berlin’s musical extravaganza “Blue Skies” starring Fred Astaire and Joan Caulfield. 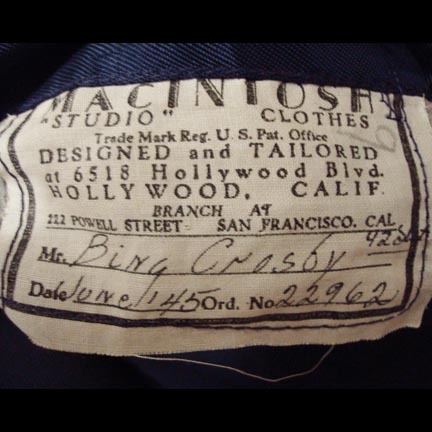 This jacket was custom tailored for use by Mr. Crosby by legendary Hollywood tailors Macintosh, and has the original tailoring label sewn inside with the actor’s name and production information clearly written. 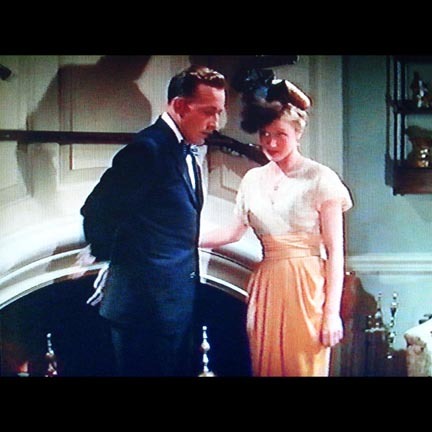 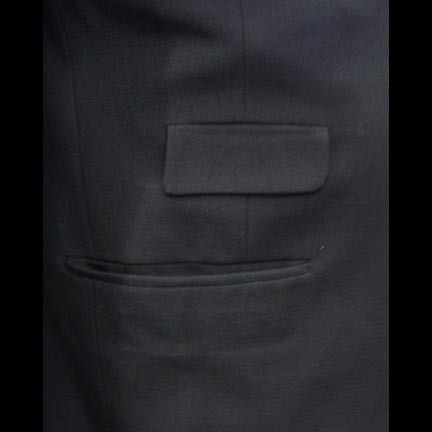 Mr. Crosby wore this garment in several scenes near the beginning of the film when Jed Potter (Astaire) and Mary O’Hara (Caulfield) visit Adams at his nightclub before heading to a party. 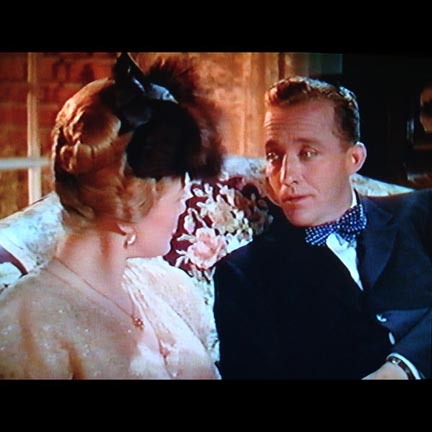 Adams finds himself secretly attracted to Mary and so decides to accompany them to the soiree. 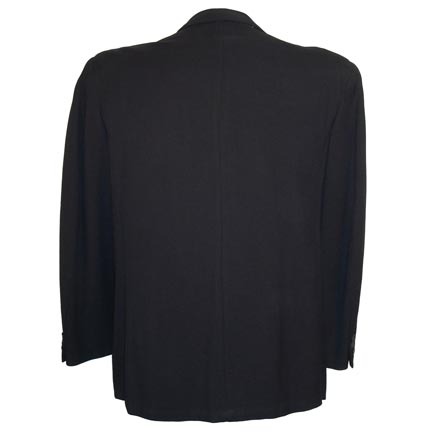 The jacket is in very good screen worn condition with minor evidence of age and is accompanied by a letter of authenticity from the costume house. 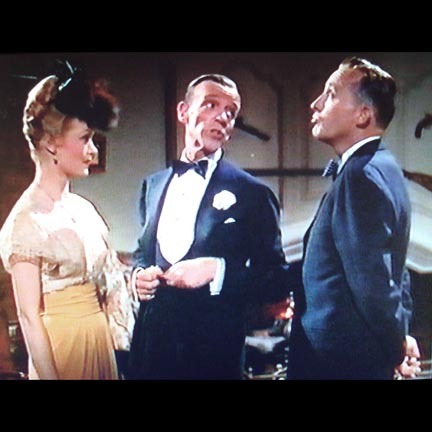 “Blue Skies” was nominated for two Oscars in 1947. 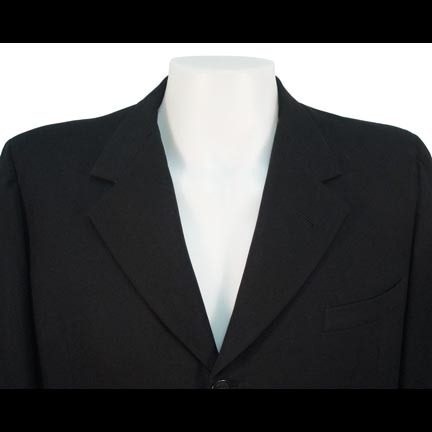 Presented by The Golden Closet, your premiere source for motion picture, television, and music entertainment memorabilia.